Serves as a liaison between the Student Disability Resource Center and community to make Florida State's campus safer. Also responsible for formally pursuing creating initiatives like a Disability Student Union. Responsible for making sure the Health, wellness, and safety of the Student Body, ensuring executive branch has undergone Allies & Safe Zone Training, supporting the Mental Health Council, the safety of housing for all students, student sustainability, sustaining partnerships with Title IX and organizations that work with students with developmental disabilities. Maintains strong and consistent relations with various media outlets, effectively communicates to them the policies and stances of the SGA administration, and oversees all public relations and social media efforts of the administration. Required to be skilled in graphic designing and videography or have previous experience managing a team of individuals skilled in graphic design and videography. 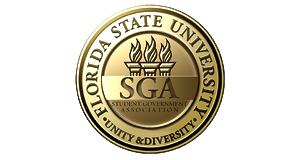 In charge of promoting the active recruitment and development of all the students at Florida State University. Responsible for Navigating College Test, Nole 60 and in partnership with organizations, such as Seminole Boosters, other DSOSs Greek life and the Student Athletic Advisory Committee, Works to cultivate school spirit and in charge of coming up with initiatives that support students professional development. Follows the proceedings of the legislative and judicial branches and capitalize on opportunities for checks and balances. Responsible for the Platform Tracker, Annual Report, and working alongside the Deputy Chief of Staff and makes sure the administration and executive cabinet can fulfill their platform points. Works to support the Florida State Strategic plan through intentional programming efforts.